Stand-Up on the Spot with Jeremiah Watkins was recently featured in GQ Magazine as one of the “Five Funniest Nights in America” and comes to you fresh off a hit run of shows at the prestigious Just For Laughs Festival in Montreal. The show has been entertaining audiences around LA since 2010. Comedians go up with no prepared material, ask the audience for suggestions, and create Stand-Up on the Spot based off of those suggestions. This is the only stand-up show where you, the audience, get to suggest what the comedians talk about. Get ready for improv and stand-up to unite! The has been showcased at numerous comedy festivals including JFL Montreal 2018 & 2017, Moontower 2018 & 2016, Riot LA, and many times at the New York Comedy Festival. Come see it monthly at The Comedy Store in Los Angeles! Jeremiah Watkins is heralded as the comedian for making Judd Apatow fall in love with comedy again, and that’s a direct quote from Judd himself! You may know him as 1/3 of The Wave from Comedy Central’s Roast Battle, as Moshpit (a roadie/hypeman) in The Comedy Jam, or as 1/2 of the musical comedy super-duo Regan and Watkins during Kill Tony, the #1 Live Podcast in the world. He performs stand-up at all of the major clubs in Los Angeles throughout the week and became a Paid Regular in 2016 at The World Famous Comedy Store, getting his name painted on their prestigious wall in 2017. The Comedy Store is also the home for his wildly popular live show Stand-Up On The Spot, which just came off a hit run of shows at Montreal’s Just For Laughs Comedy Festival and was named by GQ Magazine as one of the “5 Funniest Nights in America.” Since moving to LA from Kansas, he has established himself as one of the most physical stand-up comedians in Los Angeles with his high energy and off-the-cuff style. 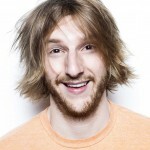 He placed 2nd in the 2015 Big Sky Comedy Festival, and has performed at Just for Laughs, Bonnaroo, Outside Lands, Comedy Central’s New York Comedy Festival, South by Southwest, Riot LA, Moontower, and many other festivals throughout the country. Other film and tv appearances include: Jimmy Kimmel Live, Comedy Central’s The Comedy Jam, Big Jay Oakerson’s What’s Your F@%king Deal?! on Seeso, star of the the film i-Lived (available on HULU), supporting in the film The Bet (available on VOD), and he can also be seen in the upcoming season of HBO’s Crashing with Pete Holmes. He is a graduate of the Second City, has trained at The Groundlings, and has performed improv all over Los Angeles. No matter what size the audience, Jeremiah Watkins guarantees a memorable show experience like you’ve never seen before.